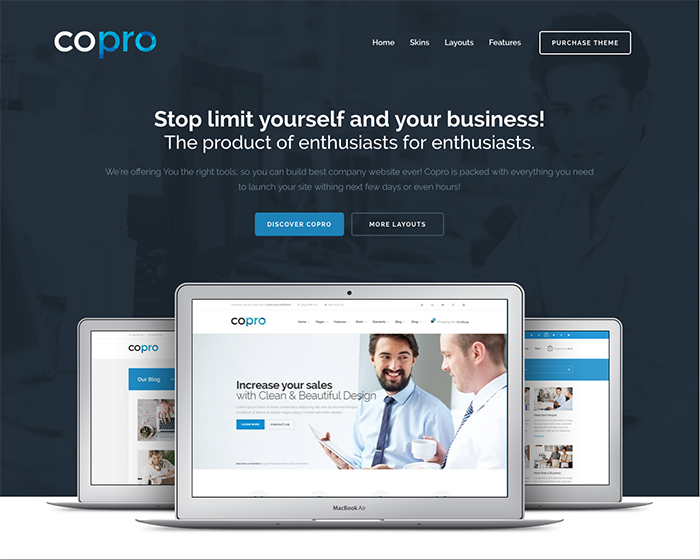 The CoPro theme is a beautifu,l corporate-styled theme that’s great for building all kinds of websites. It’s best suited for corporate sites with complex navigation, and comes with fourteen different variants designed for restaurants, e-commerce, startups and more. 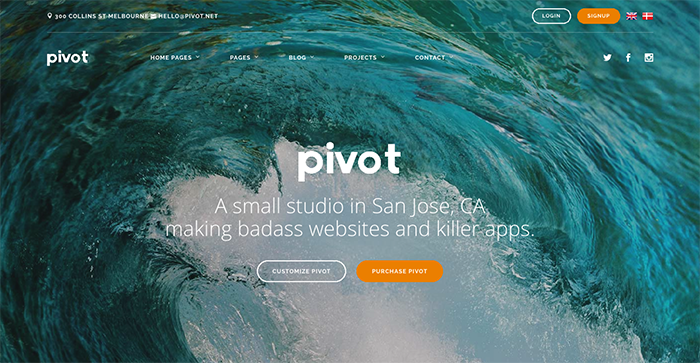 Pivot is an exceptionally flexible and customizable Bootstrap theme. It’s built on page blocks and can be moved around with the built-in page builder feature. It includes twelve pre-built variants, but it’s exceptionally easy to structure your own designs using the available tools. Attractive typography and modern UI elements round out the mix, making it easy for less-experienced developers to quickly build attractive sites. Kallyas is a massively flexible Bootstrap theme designed to build a modern website in any industry or niche. The wide variety of available designs are united by sans serif text, large header images and well-designed navigation. It also includes some truly unique features, like a powerful and intuitive animation engine with a GUI timeline for managing complex slider designs. You’ll also get a spectacular variety of sliders and pre-built pages, include several blog and single-page options. 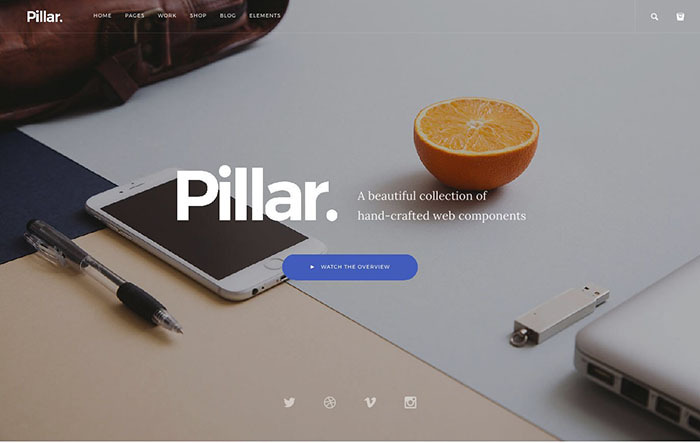 Pillar is more deconstructed that our other Bootstrap themes. It’s less of a finished site and more a collection of pre-built components. This makes it perfect for the more advanced web developer that wants thoughtfully-designed UI elements, but knows how to layout their own page. You’ll get access to over 100 HTML templates, square or rounded buttons, LESS compatibility for easily setting custom color schemes, and many more power-user options designed for professional devs. 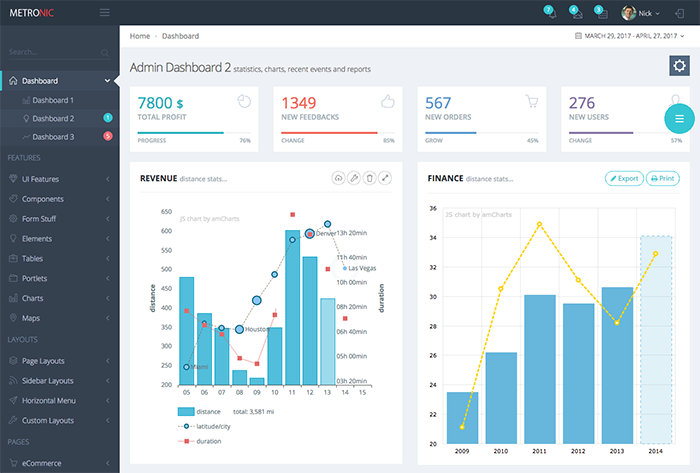 Metronic is specifically designed for creating dashboards, admin pages and monitoring tools. If you’re building a backend for your client to monitor traffic or sales, Metronic includes many of the design elements you’ll need to make it visually impressive and fully functional. It’s been in continuous development for three years and has won praise from developers for its clean CSS, professional layout and reliable performance. 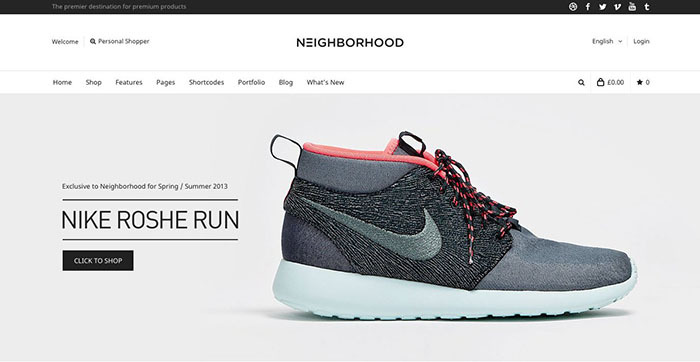 Neighborhood is a fresh, modern and Retina-ready Bootstrap template designed specifically for ecommerce. 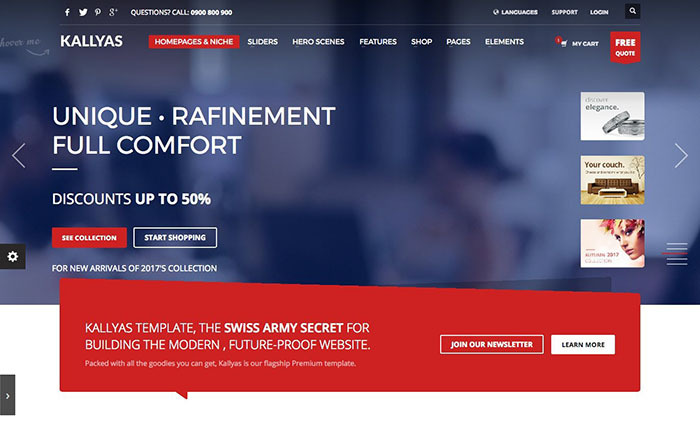 It’s compatible with WooCommerce 2.3+ and includes a full-featured page builder, fully-customizable color schemes, elegant typography and powerful ecommerce tools like wishlists. 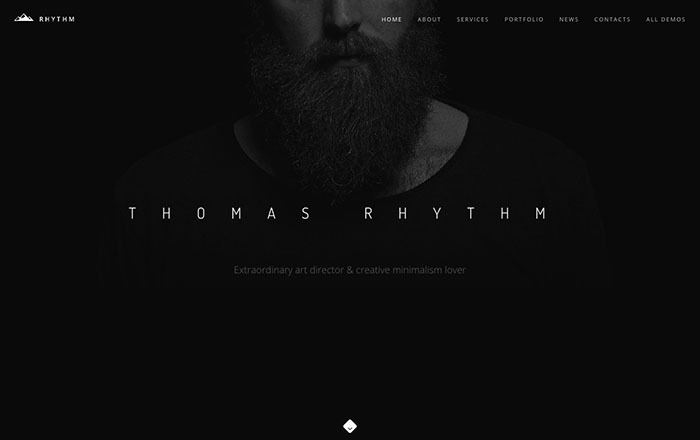 Rhythm is a one-page template designed to create visually-impressive resume pages for individual creators or small creative agencies. It’s similar to a lot of Squarespace designs, with a full screen background image and creative use of typography. An excellent choice for art directors, producers and directors looking to make a dramatic impression. Wunderkind isn’t as flexible as some of the other themes on this list, but it makes a big impression. In addition to full-page image headers, you can also load a full-page background video. It’s great for creative agencies and other brands that want a visually-stunning representation of their work. Toranj is a beautiful, responsive Bootstrap theme designed especially for creative portfolios. Its layout is optimized for giant images and gallery displays. It includes dedicated jQuery plugins for complicated – and impressive – galleries that work with both photo and video content. 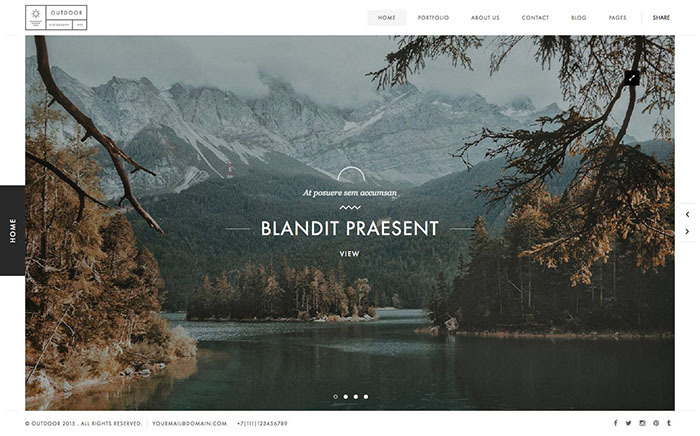 Outdoor is a photography-powered portfolio theme for Bootstrap users looking to create customized creative websites. In a world knee-deep in slide homepages, Outdoor stands appart with an attractive UI and well-selected typographic choices. Pick from nearly twenty different page styles, including single-page designs and full-fledged portfolio sites. 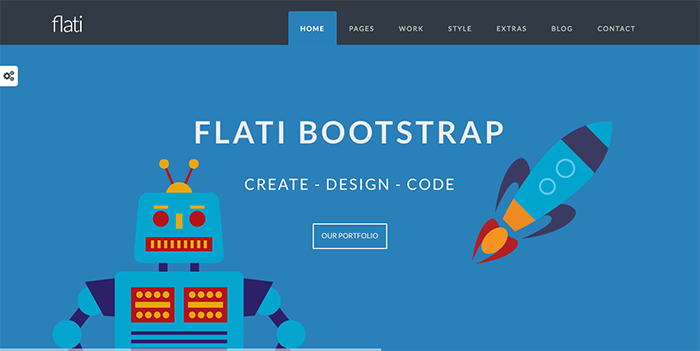 Flati is one of the more engaging “flat design” Bootstrap themes available. It uses major color blocks to organize pages instead of images or other page dividers, and it’s great for fun, high-energy creatives that want to promote their work or their agency. You get a variety of sliders and carousels to display your work, as well as a grid display for showing off a high volume of work. Arose is one of the newer themes on our list, but the theme’s visually engaging design makes it hard to leave off the list. 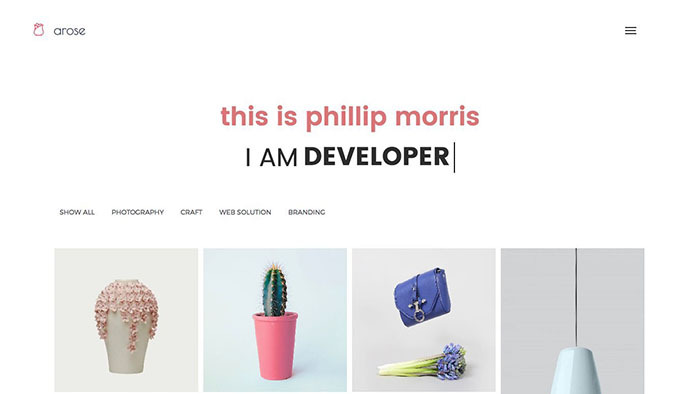 Designed for graphic designers, product developers and other creative professionals looking to stand out from the crowd, the theme includes an extremely minimal design with eight portfolio variations and four homepage concepts. 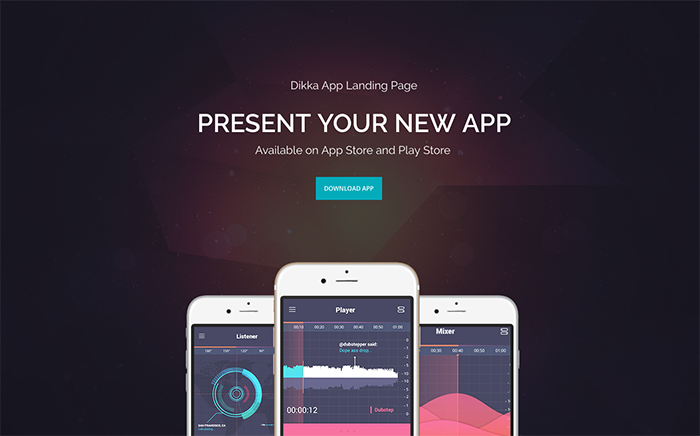 Dikka is especially designed for creative companies looking to show of their work. It includes five different design concepts for creative agencies, architects, app developers and more. 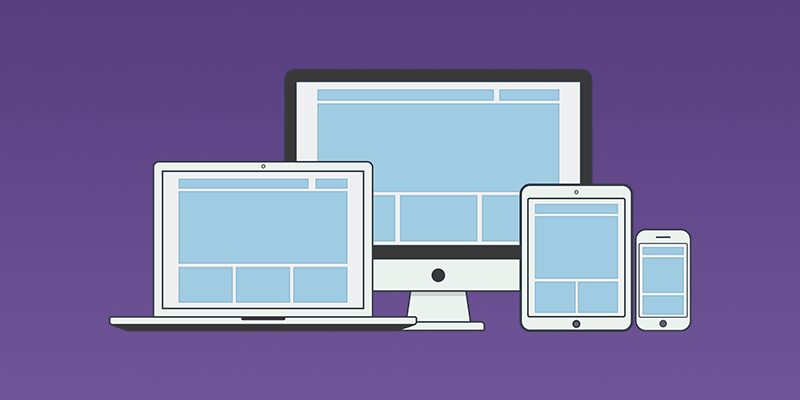 It includes a drag-and-drop page builder, WooCommerce support, and responsive design. 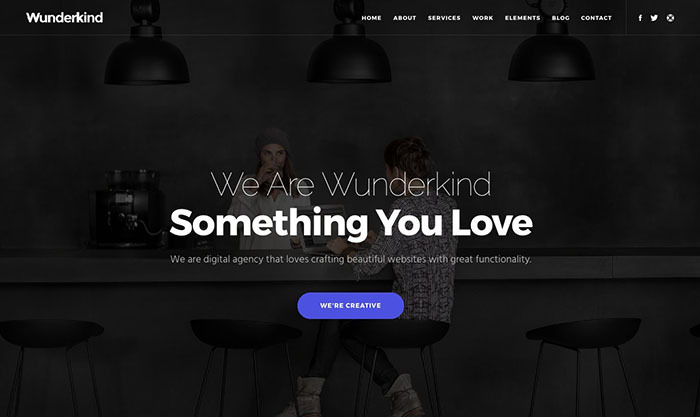 It’s got a modern, techy feel that’s great for web-focused design companies. 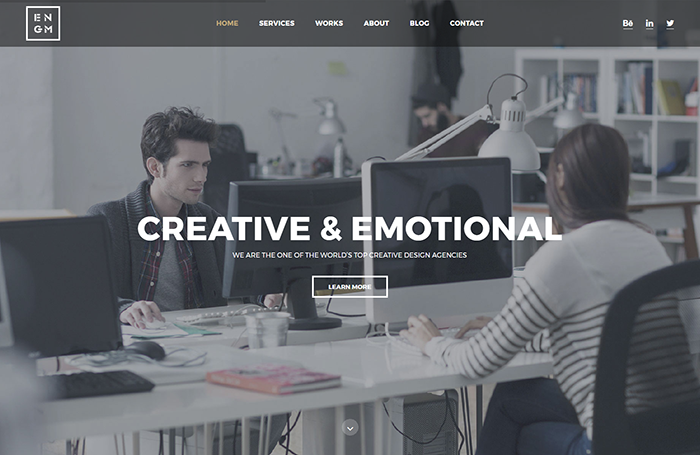 Erika is a small but attractive Bootstrap 3 theme designed for creative portfolios. It includes eight different home page styles and more that fifty page templates for sharing your creative works with potential clients. The white and gold theme feels organic and natural, and is a great choice for graphic designers. Enigma is a minimal, one-page theme based on Revolution slider as a primary homepage element. It’s an awesome choice for photographers and videographers looking to show of their work in a tasteful, modern layout.